Colonial style first appeared in medieval England. 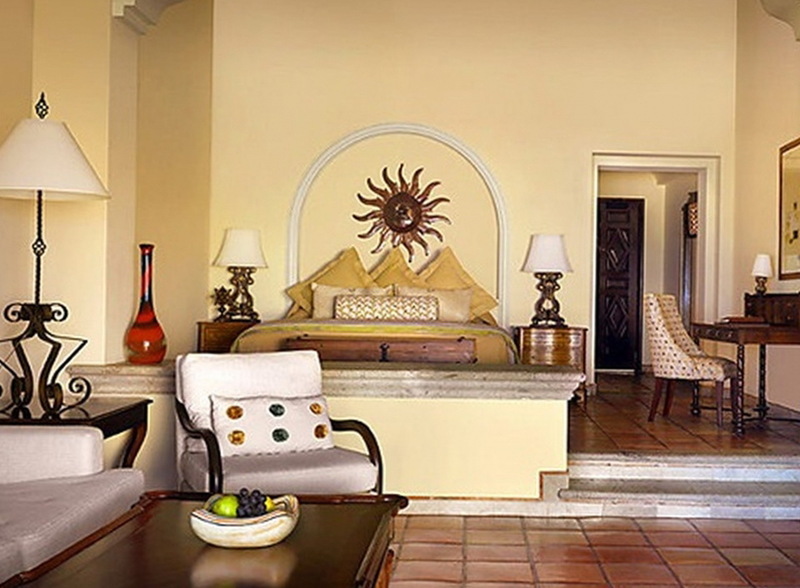 In the colonial style in the first place is comfortable, it fits well and most massive furniture of mahogany species, and the combination of the beautiful and exotic textures and fabrics. Interior includes the oriental style and European. In colonial welcomed several colors, the main ones. Black, white, shades of brown, burgundy, dark red color. The color scheme has to be very discreet and harmonious. 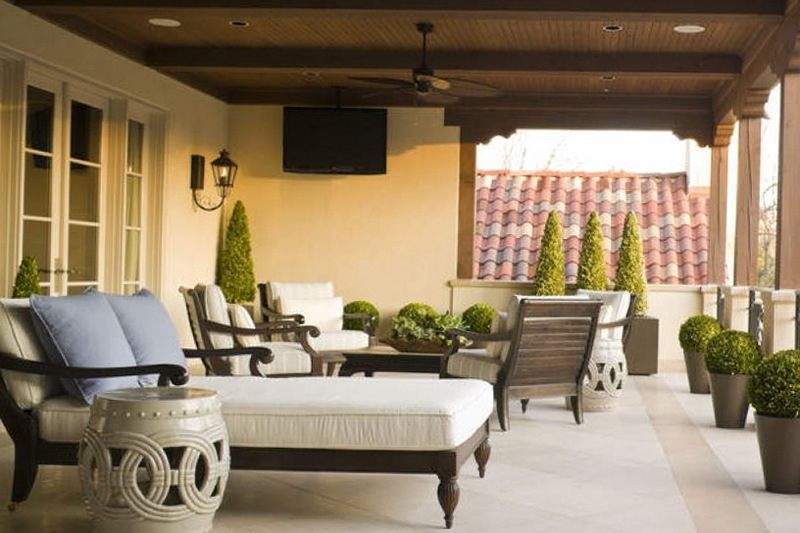 Colonial style for those who love exotic and luxury. 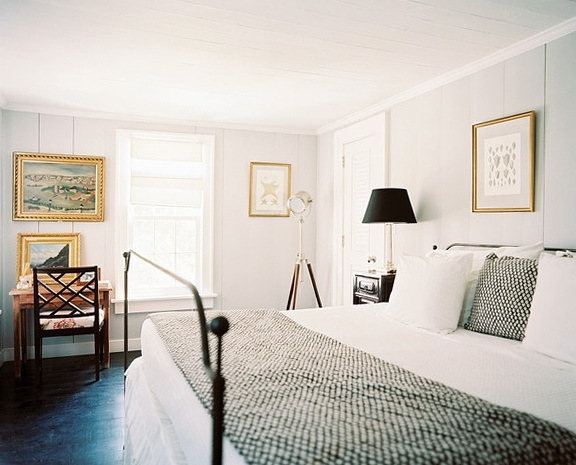 In this bedroom the walls are transparent, and have glass windows that provide plenty of natural light. 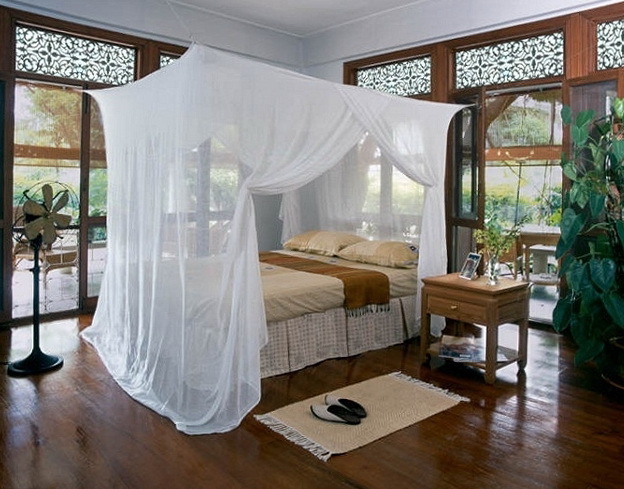 Top white canopy beds made of thin chiffon. 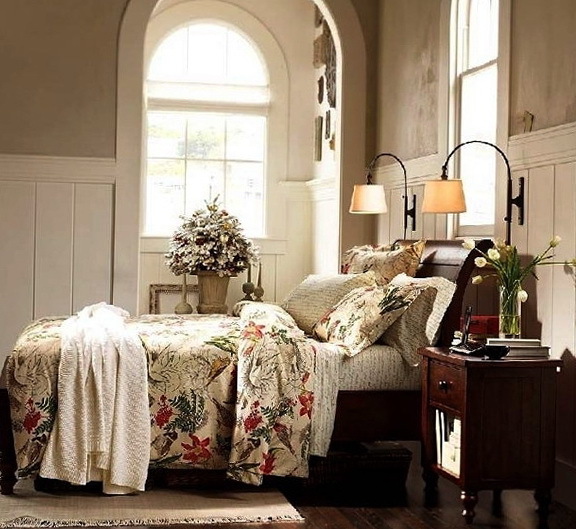 This bedroom is done in shades of sand, at the head of the bed is made beautiful accessory in the figure of the sun, which means warm and comfort. 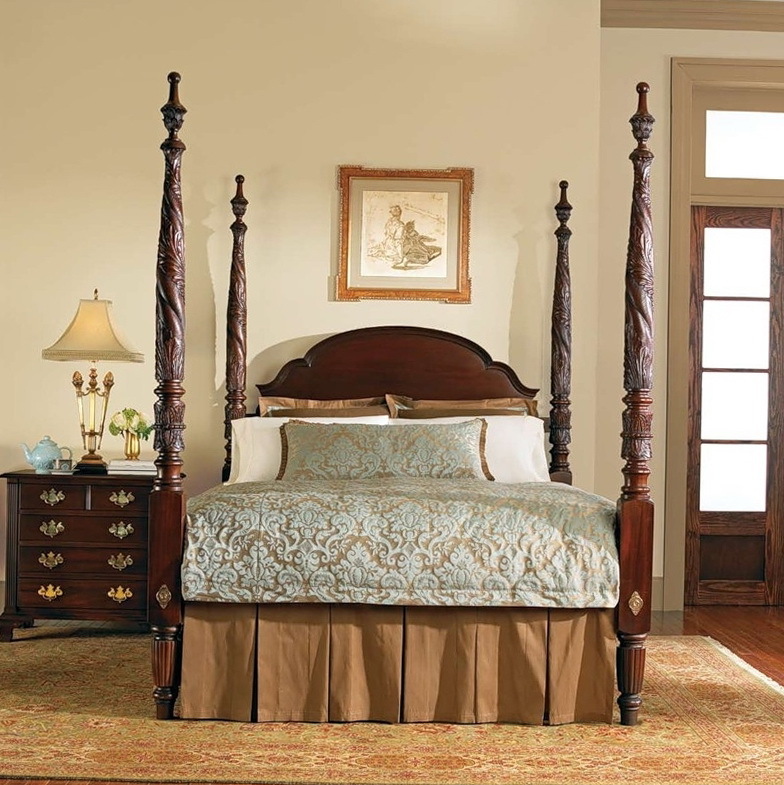 The bed in the master bedroom is very complex and truly royal, bed legs are constructed of solid wood and carved beautiful patterns headboard smoother. 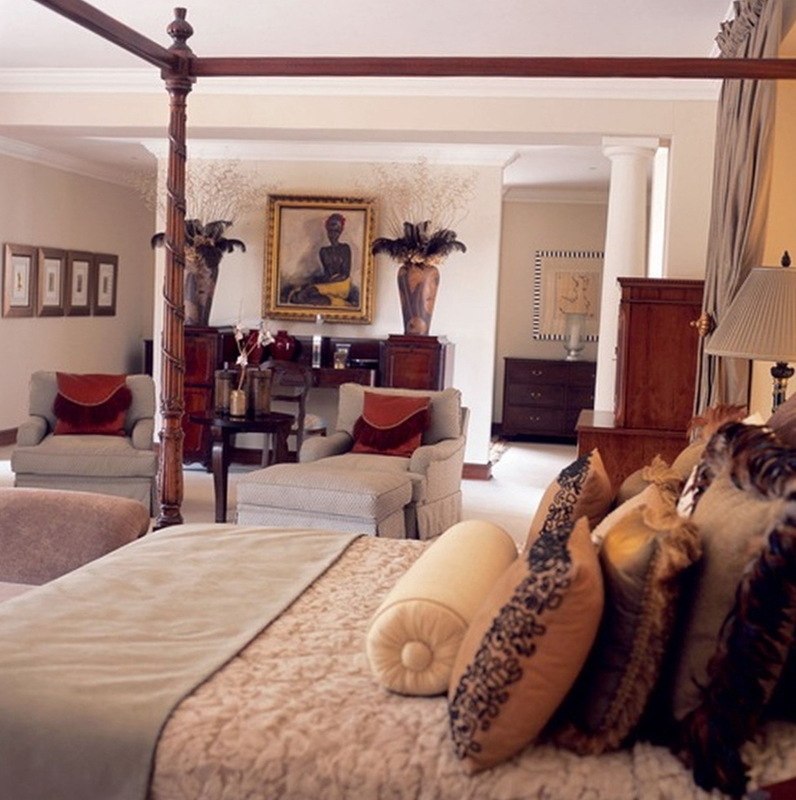 Large bright and spacious master bedroom, the bottom is made of rattan, as well as all the furniture in the chamber, the room looks really intimate and beautiful painting of flowers adorns the extra bedroom. 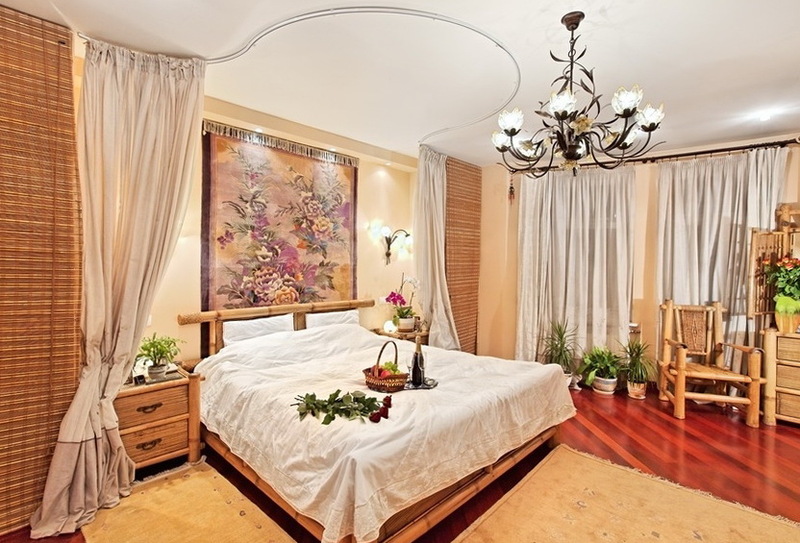 Bedroom done in white, the walls and furniture of the same color and of the same material: wood material. Along the walls hang beautiful light box, which differ in color to the walls. 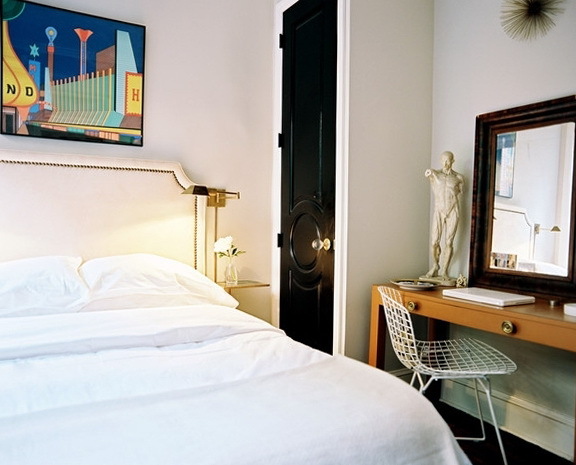 The base is constructed of dark color to highlight the bed and the wall. 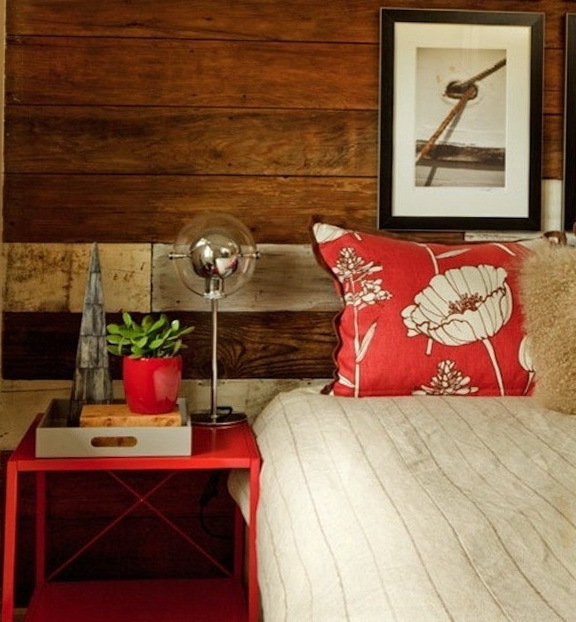 The bed is a comfortable ottoman bedside, where you can place a tray or put a book. 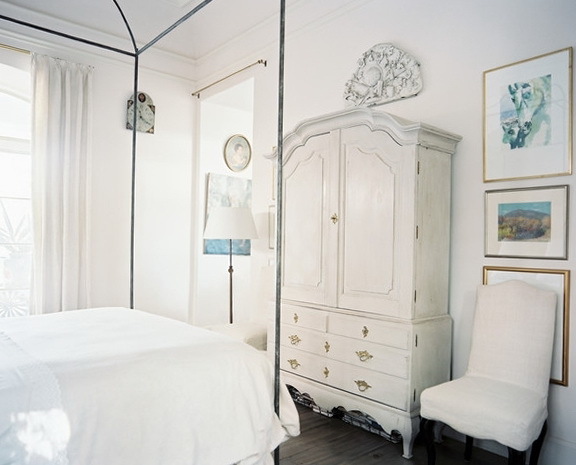 This bedroom done in white, the room is very small, but very functional, has a bed, a bedside table with mirror and stool. 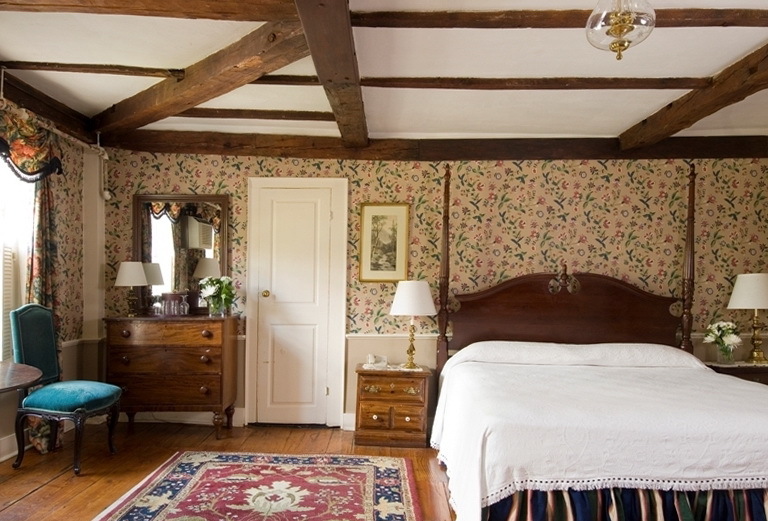 Opposite the bed is the doorway to the bathroom.